ITF Delegates at their preparatory meeting in the ITF’s new ICAO Liaison Office in Montreal just before the AN-Conf/13. The ICAO Air Navigation Conference (AN-Conf/13), organized by the International Civil Aviation Organization is taking place from 9 October to 19 October 2018 in Montreal, Canada. The theme of the conference is “From Development to Implementation” and it will discuss issues and proposed solutions relating to flight safety and air navigation capacity and efficiency, and other key performance areas of particular interest to aviation workers. At the Conference, the ITF will present a working paper covering key concerns and proposals of aviation workers regarding remote towers. The ITF working paper stresses that unions were not against new technology but it should always either maintain or improve safety. The paper says that aviation unions have deep concerns about simultaneous multi-tower operations as they could cause serious distraction and undermine flight safety. The Conference will set the priorities for the coming years and agree on a set of high-level recommendations in various key performance areas of the air navigation system. These recommendations will be submitted for approval to the ICAO Council for subsequent endorsement by the 40th Session of the Assembly in 2019. 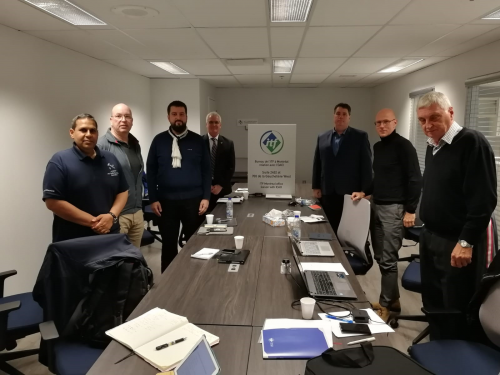 Next year the ITF civil aviation unions from across the world will be taking on an intensive lobbying activity on key worker and industry issues in the run-up to the upcoming Assembly.